I was following this bird for some to take its pictures, however, I didn't succeed for five months. I was mainly attracted towards this Hoopoe because of crown on its head. 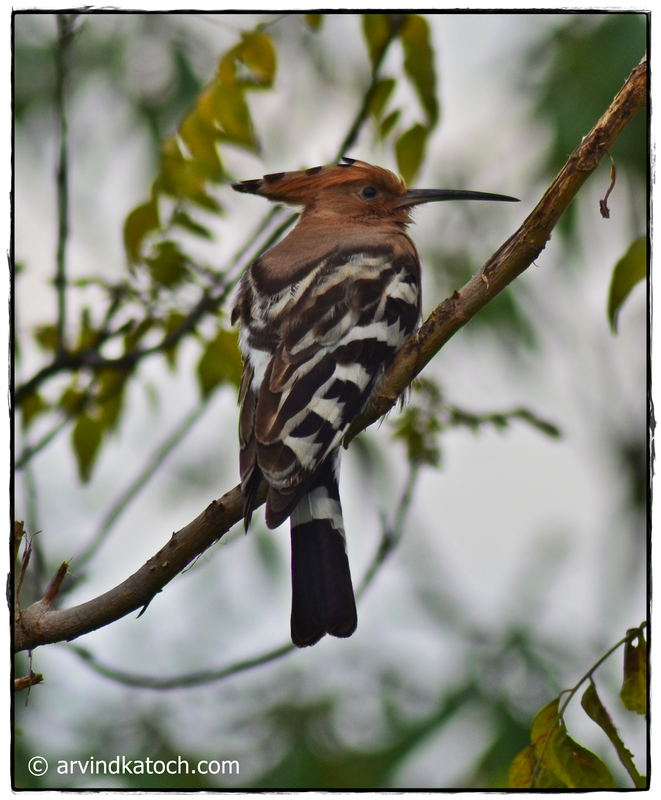 It is common to see a Hoopoe in India when we show some patience. After Initial some failures, I got many good pics of Hoopoe with full grown (shown above taken on 26/01/2016). Luckily, I was sitting with my camera on the rooftop, then from nowhere a Hoopoe appeared and so I succeeded in getting a few of its pictures. It looked that Hoopoe has no problem with me taking his pictures; therefore, he sat there for 7-8 minutes. This time was enough for me to take some good pictures of Hoopoe. The Hoopoe is the national bird of Isreal and it is an Afro-Eurasian bird meaning it is found in Africam, Asia, Europe and at many other places/islands. The Hoopoe is one of highly noticed bird because of crown like feathers on his head, which he can open and close. This bird belongs to Upupidae family of birds. We can find nine subspecies of Hoopoe. They mainly eat insects, small reptiles, frogs, seeds, berries etc. It is common to find Hoopoe in grasslands near human habitats. These birds are very useful for the humans and farmers because they eat many insects which are harmful for the crops and humans. 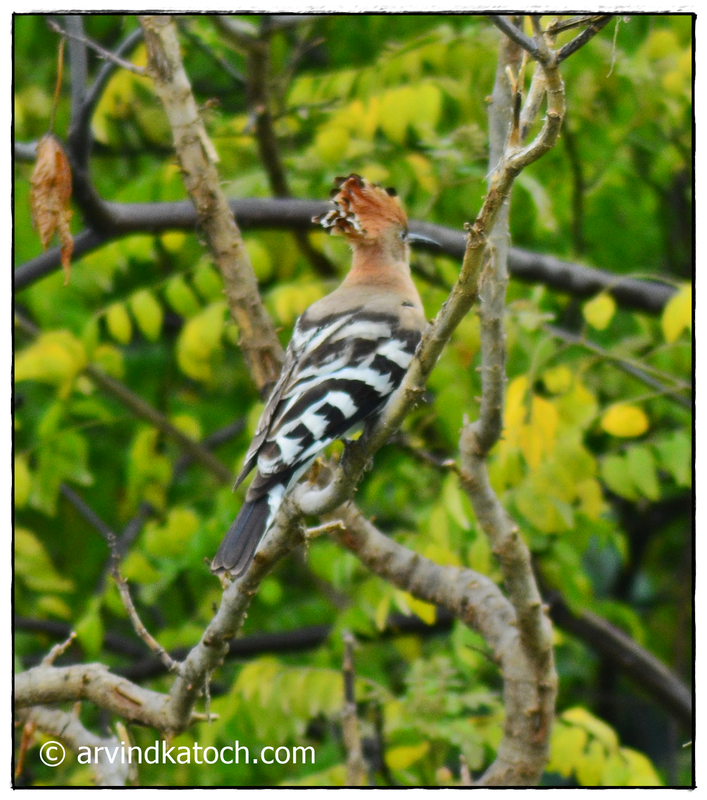 We also get the reference of Hoopoe in Quran as Hudhud. We can find paintings of this bird on many ancients temples and literatures. Therefore, we can say that association of Hoopoe and humans is very old. The scientific name of this bird is Upupa Epops and some of its other names are hudhud, Epopus, Hupe, Hupelot, Huppe, Upupa etc. In many places, seeing Hoopoe is believed as a good sign. This bird is associated with positivity in many religions. The good news for Hoopoe is that it is present in a wide geographical area and there is no present threat to this specie.